For some reason I assumed that I could block acrylic projects the same way I block those made from wool. But when I tried it, it didn't work! To my surprise I found the acrylic yarn holds it's unblocked shape. I did a search on how to block acrylic and found that you should steam block it. 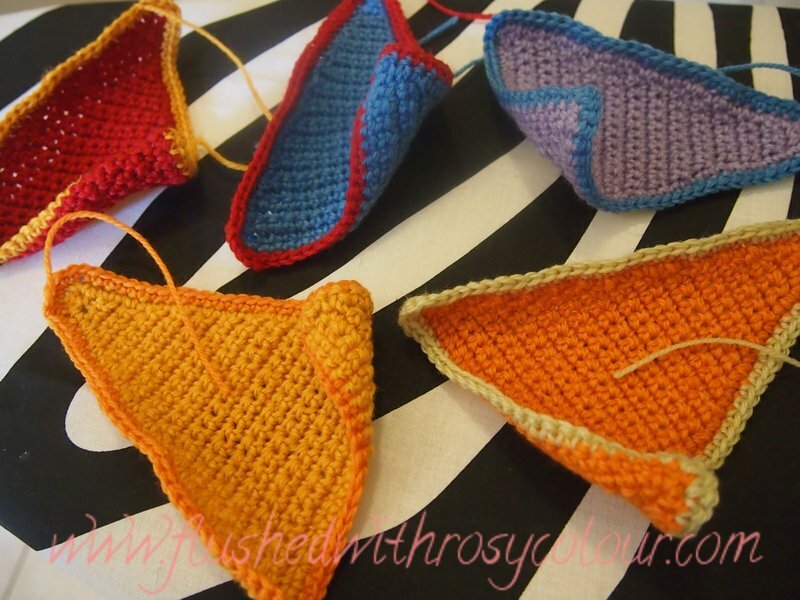 So I decided to practice on some rainbow bunting I've been making for Thomas. 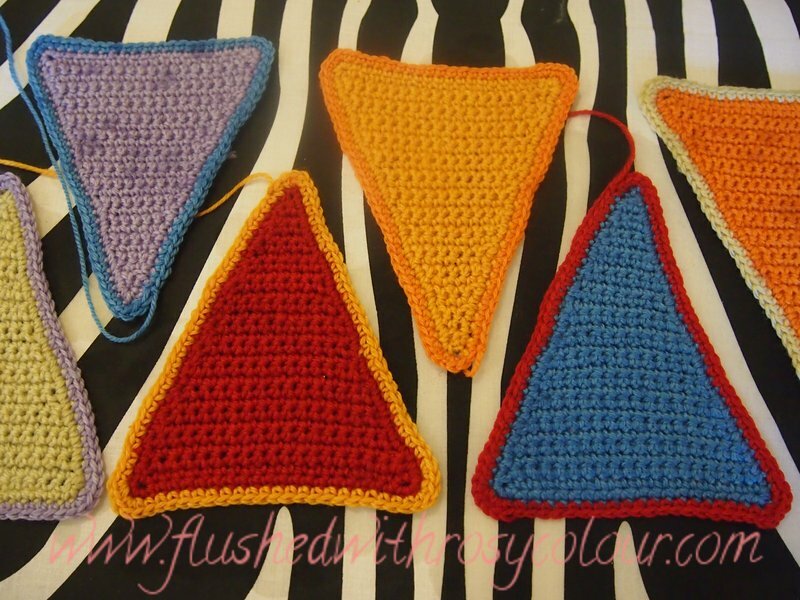 The bunting triangles were very curled, they will just not work as bunting like that. I had tried blocking them by washing and pinning to a large piece of foam, but when they were dry and I removed them, the triangles were still curled! So I then steam blocked them, or rather, I simply ironed and steamed them on a low heat. I put my iron on the very low synthetic heat and ironed the back side. I gently steamed them as was suggested and they flattened straight away. 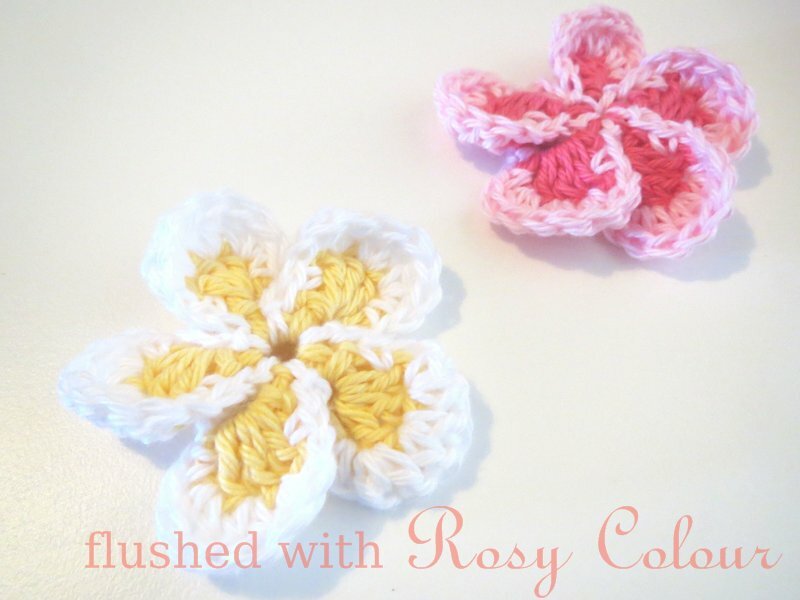 I did these before steam blocking the delicate spiral bunny rug I made for a custom order. I spent so much time on that, I couldn't bear for it to melt it, while these triangles were just a quick fun project for myself that I could risk. But after these triangles, I gently steam blocked the bunny rug and it turned out just fine. So now I know how to block acrylic!